A small book that's gives out big awards. 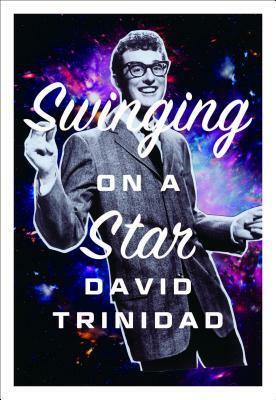 David Trinidad's book of poems "Swinging on a Star" is perfection at work. A poet who always keeps his vision and language in an exceptional form. I think I'm around the same age as Trinidad, and the pop cultural references that are in his poetry fits my or our generation greatly. For anyone outside that world, the poems are inviting and will bring new discoveries to the new reader. For me, it's like dipping into a pool of great pleasure. Some of the poems are simple imagery, and others are like biting into a ripe fruit and enjoying its freshness and the different textures that come with the taste of that first bite. "Swinging on a Star" is another fantastic book by one of the great American living poets. Also a nod of my hat to Turtle Point Press who has a history of publishing great books.